Stephen Tanzer is the respected author of the well-followed wine review site International Wine Cellar and his thoughts are widely quoted, not least by LEA & SANDEMAN. Quoted as "exceptionally informative" by none other than Robert Parker and "thoroughly reliable" by our own Jancis Robinson MW, his views on the wines of the 2012 Burgundy vintage are required reading. Please note this mail refers to a Primeur offer. All orders are accepted under the TERMS of this offer which differ from the terms of the rest of the site. I know from speaking to several customers over the last few days that there are more of you out there who have been meaning to order 2012 Burgundy but have just not quite got round to it. 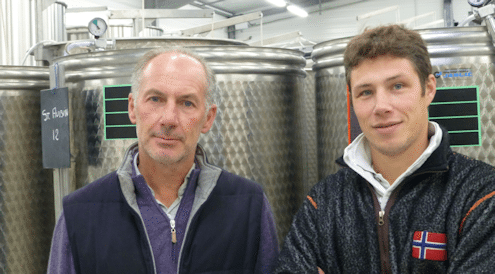 As this year’s Burgundy primeurs season progresses and we add a few remaining delicacies to the website offer, it is worth mentioning that while much of the scrabbling for allocations of 2012 Burgundy has focused on red wines, there are some really great whites. You will be aware of Susie & Peter. They may sound a bit like CBeebies presenters but they are, in fact, the two rising stars of wine reviewerdom - Peter Richards MW and Susie Barrie MW, two MWs who married each other and take turns to pop up on 'Saturday Kitchen' conjuring up wine matches to the cuisine on offer in James Martin's TV kitchen. Just published is Tim Atkin's 2012 Burgundy Special Report, available for £12 from his website, an incisive and in-depth tome on all things to do with this most extraordinary of vintages. It's £12 well spent, especially if you are considering making a purchase or two, which Mr Atkin would seem to heartily recommend. Yves Confuron’s Burgundies are a long-time favourite at LEA & SANDEMAN and, once again, Tim Atkin MW in his 2012 Burgundy Special Report highlights their greatness.